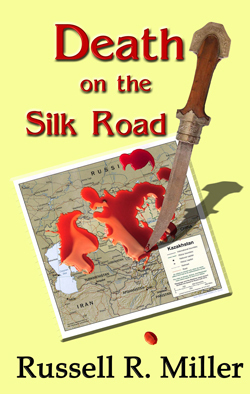 Death on the Silk Road By Russell R. Miller: Is a contemporary traveler’s tale of deceit, deception and international intrigue, involving an ordinary man facing extraordinary circumstances in a highly unusual location. Charlie Connelly, a retired international executive with tenuous ties to the Central Intelligence Agency finds himself on a consulting project for a global banking corporation assigned to a mining project in the remote Tien Shan Mountains of newly independent Kazakhstan. A silent killer with obscure motives threatens Connolly and a group of mismatched international specialists who are isolated by a blinding snowstorm. As members of the project begin to disappear, Connolly’s handler back at Langley attempts to sort out the identities and motives of an indigenous Islamic group competing with China and Russia for the oil and rare mineral deposits in the resource-rich Kazakh Republic. 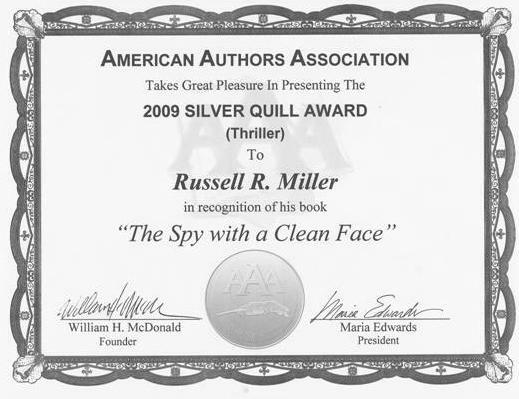 Russell Miller, winner of the American Authors Association Silver Quill Award for his previous novel The Spy with a Clean Face, relies on his extensive international experience traveling to over 100 countries to craft a complex geopolitical thriller ripped from current headlines. 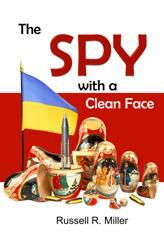 Russell Miller has adeptly applied fictional flesh to a factual skeleton in a far-ranging tale of deceit and betrayal. The narrative twists and turns through Latin American and Asian locales as the search for a rogue agent ultimately leads to the Chernobyl dead zone; while the newly independent Ukrainian Government teeters precariously between East and West. describes the experiences of an unlikely central character, traveling in a little known part of the world, at the aftermath of a different type of war. The book will appeal to armchair travelers eager to discover far-off corners of the world, and the reader interested in expense paid travel to intriguing locations while using their skills to "do good" in the developing world. The background for the account is set in the Midwest during the depression and WWII, and chronicles the experiences that molded the attitudes and values of the central character, and his generation. 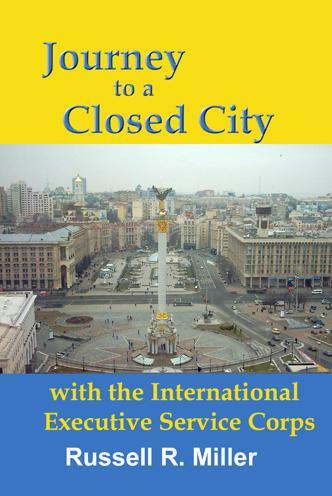 The principal narrative, however, takes place in a former Soviet "closed city" in the turbulent aftermath of the cold war. The Ukrainian town had been isolated because of Russian ICBM batteries concealed in the nearby Carpathian Mountains, and secret defense plants hidden inside its boundaries. Few of the citizens had ever encountered anyone from the outside, much less an aging volunteer from their former enemy the United States. Miller's assignment with the International Executive Service Corps was to advise a reluctant defense amalgamation on converting its operations from obsolete electronic warfare equipment to more conventional consumer products. This allowed the author to compassionately observe and describe the lives, and surroundings of the workers, while confronting the political intrigue spreading through the management structure. It also affords him an opportunity to adjust to the changes in his own life brought on by a personal transition from an active professional career to a less demanding life of retirement. Woven throughout the book is a description of the senior citizen's equivalent of the Peace Corps-the International Executive Service Corps. This provides an insight to the little known organization's mission, recruitment requirements, methods of operation, and roster of dedicated volunteers. 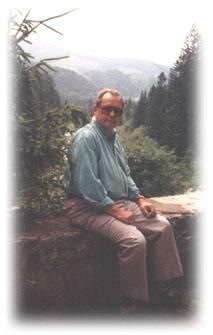 Russell Miller spent 20 years traveling to over 100 countries as Sr. Vice President of International Development. Since retiring, Miller has served as an advisor with the World Bank, United Nations Development Program, and the Vienna based United Nations Industrial Development Organization, in addition to the IESC. He has also written two previous books on transition economies, Selling to Newly Emerging Markets, and Doing Business in Newly Privatized Markets, published by the Greenwood Group.